It would be good for the faithful everywhere to know the saints from all places‚ because each saints brings through his deeds in other circumstances a model of deeds for any circumstances in their lives. 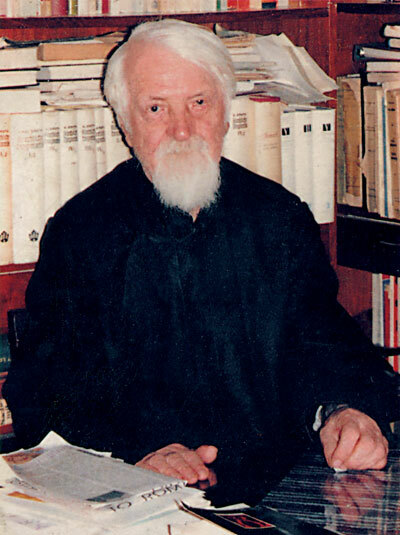 Romanian Christianity has given fruit to many and wonderful saints‚ even though‚the humility characteristic to our nation‚ or other unfavorable historical circumstances in which they lived in‚ have not allowed our Church to canonize but a very few of them and only in 1955. The Romanian saints were real and they have been recognized by popular piety‚even though the Church has not formally canonized them and has not dedicated them certain calendar days; this is why their deeds have not been praised through special church hymns. All saints‚ with the exception of the apostles and missionaries‚ have gained this quality by working for the faithful or becoming remarkable through their pure and sacrificial lives among the faithful of a special place or country. Their veneration started even during their lives‚ or after their death‚ among the faithful of that place‚ has extended step by step beyond those borders. The local saints became in this way universal saints. But they reached this veneration for their purity attained in a certain place‚ or for their martyrdom‚or for their deeds towards the true faith confessed everywhere‚ so now they can be imitated by the faithful of any place. They have applied the teachings of the true universal faith in a certain place or country. They have served and demonstrated the universal faith in the place they have lived in. In this way‚ all saints are local saints because they contend in a certain place‚but they are universal for the universal faith they serve in that specific place. From this point of view there are no local or universal saints. All are local for the people from a certain place‚ which they serve during their lives‚ through their deeds and example‚ but all are universal because this example is available for the faithful everywhere and contributes to the unity of all that want to know them. All are filled by the same Christ that shines through their beings and all are the bearers of the same Holy Spirit‚ even though the Holy Spirit That communicated to them was shared to others in a different language. They all belong‚ through the Same Spirit‚ to the Universal Church‚ started at Pentecost and continued through the centuries‚ involving different nations (Acts 2:3). Their languages May be different‚ but their souls are filled by the Same Spirit and they feel the Same Christ. 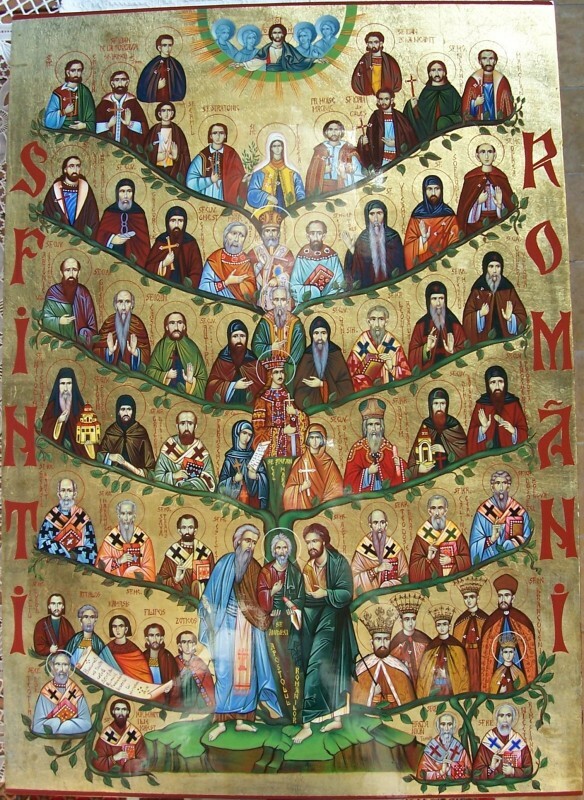 So the Romanian Saints‚ be they martyrs of the faith in the fourth century‚ or in the eighteenth century‚ be they hierarchs that illumined the people with their word or helped them with their deeds‚ be they ascetics that reached the highest spiritual stage in God‚ through prayer for themselves and for the people‚ they have all elevated the character of the true faith and the image of man that lives the faith seriously to a step that urges the faithful everywhere‚when they get to know them‚ to live their faith with more conviction and follow their example. The more the saints make themselves known through their exceptional lives in the place they live in‚ the more their faces radiate with even more power in the Universal Church. But the unity between their local and universal service can also be made known in a different way. A saint‚ even though he elevates at the highest level the characteristics of a certain nation‚ the height that he attains makes him embrace with an all-encompassing love all the people. There is no individual selfishness or national exclusivism in the saints. That’s why they are true bridges of brotherhood among people and nations. Through the saints‚ more that through all the faithful‚ the catholicity of the Church is deepened‚ even though this does not imply the erasing of the differences among the nations they belong to her. Through them the catholicity of the Church is deepened‚ as the faithful from different nations get to know them. This is because these faithful are asking for their intercessions with conviction and these saints truly intercede for them. This is why it would be good if the various Orthodox Churches would recognize‚ through official documents‚ known to their respective people‚ the canonizations made by each sister Church‚ to contribute even more to the unity of their people in their piety dedicated‚ in reciprocity‚ to their saints.